Since its launch on March 5, the highly-anticipated simulation game have been going through nothing but a bumpy ride to cater and ensure enough servers for the massive number of players so eagerly waiting. The lack of dedicated servers around the world has affected its full-functionality and frustration surrounding gamers especially those who pre-ordered were particularly present. In an effort to keep up with the growing demand, EA and Maxis have been continuously adding and upgrading their servers. 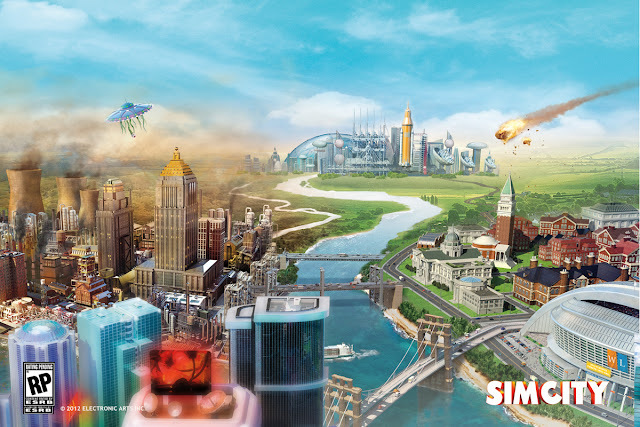 But now, developer Maxis have taken the first step to improve our 'ease-of-mind' by setting up a server status page on the SimCity website. Previously, gamers would need to start up the game and pray their way into access. This simple but useful installment will certainly prepare gamers before logging in their cities. You can access the status page here, with availability of each and every SimCity server in 3 statuses - available (green), restricted for existing players (yellow) and completely down (red).